CH2M HILL is a global leader in consulting, design, design-build, operations, and program management. The Gainesville office has for years supported energy efficiency and numerous other projects such as disaster relief drives for tornado victims in Alabama, as part of their mission values and commitment to sustainability. 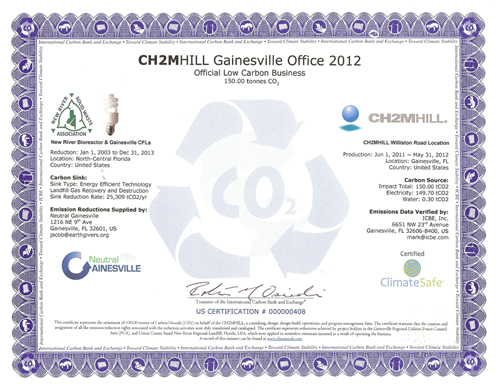 CH2M HILL has more than 18,000 employees in offices worldwide.